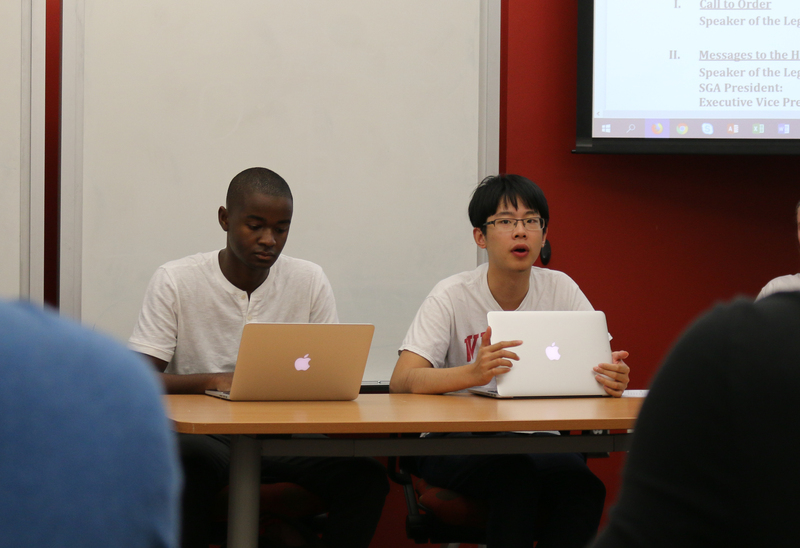 Student Government Association (SGA) President Dwight Ma (17Ox, 19C)’s investigation into College Council (CC) spending was terminated in a “near-unanimous” vote by his executive board over the summer, according to SGA VP of Communications Tiffany Haas (19C). Ma announced the investigation in a July 22 undergraduate-wide email, saying two CC “whistle blowers” and other students expressed concern over high administrative expenses and disproportionate club funding appropriation, the Wheel previously reported. Ma declined to provide the students’ names and refused to provide public CC spending budgets to the Wheel. Ma did not respond to multiple requests for comment for this story. Except for SGA VP of Finance Paul Park (17Ox, 19B), Ma’s eight-member executive board was not informed of the investigation until after he sent the email, according to Haas. Four days after his announcement to the undergraduate student body, the executive board voted to shut down the probe, Haas said. “We stopped the investigation because [Ma] essentially wanted an audit of CC’s finances, which we did not believe was the job of SGA — that’s something that CC should be doing internally,” Haas said. More than a month after the executive board terminated the investigation, SGA notified students on Monday on its Facebook page. Prasad said CC Adviser Sarah Beth Potter told the CC executive board that Ma could not launch an investigation without the approval of the SGA executive board. Potter did not respond to multiple requests for comment. Haas said she was surprised by Ma’s summer email announcing the investigation, as she is typically responsible for undergraduate communication. Haas, who served as a junior legislator on CC last year, said she also believed CC legislators believed Ma’s claims to be unfounded. The SGA executive board plans to ask for financial reports from the CC vice president of finance in the future and encourage CC to follow the results of a proposed Fall 2018 audit to determine funding allocations, Haas said. CORRECTION (9/10/18 at 12:45 p.m.): The article incorrectly said some SGA executive board members besides Haas previously served as a CC legislator. Haas is the only one with CC legislator experience.